Aside from any prescribed medications, it is pretty well known that diet and exercise are among the most recommended treatments for cholesterol issues. Pretty much everyone knows this, but most people prefer to simply rely on medications to treat high cholesterol. One reason for this might be that it just seems easier to take medications and not change your lifestyle at all. Unfortunately, you need more than medications to properly maintain your health, not to mention that you don’t want to need to take medications for something as treatable as high cholesterol. It is better for you to put the work in to change your lifestyle for your overall health. It may help to understand how diet and exercise affects cholesterol. Truly understanding how your choices and lifestyle directly impact your cholesterol and overall health may make it easier for you to stick to a healthier lifestyle. It likely seems a lot more obvious how your diet would affect your cholesterol. There is cholesterol, both “good” and “bad”, in the foods you eat. If you eat more of the foods with HDL cholesterol, or good cholesterol, and less of the foods with “bad”, or LDL, cholesterol, then you will be healthier overall. Sticking to a healthy cholesterol diet can help you eat your way to healthier cholesterol results. 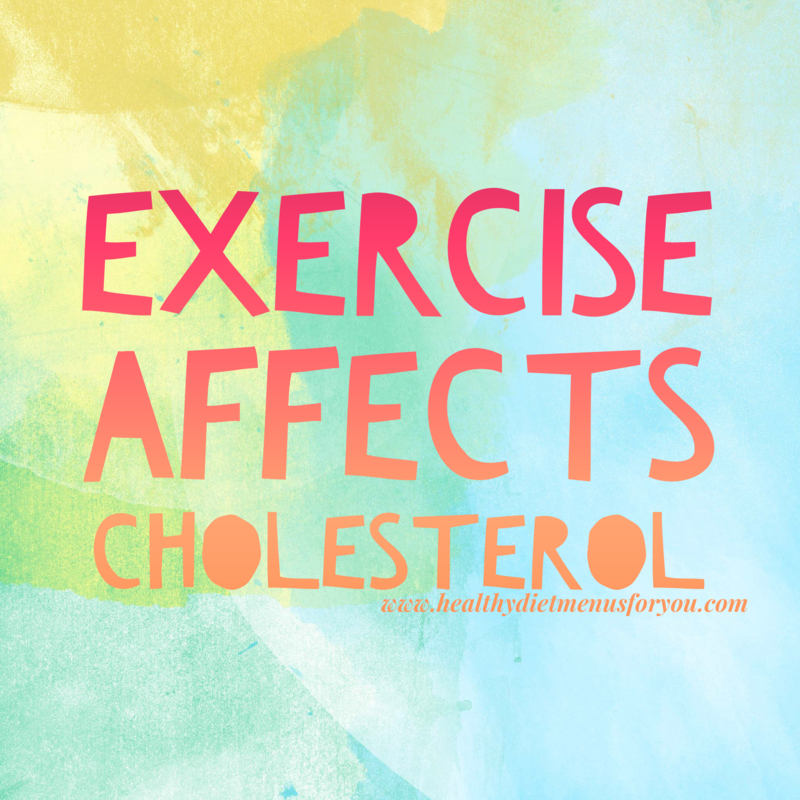 The affect that exercise has on your cholesterol is perhaps less obvious. You might even be thinking that medical professionals use the phrase “diet and exercise” as an all-in-one answer to a healthy lifestyle, but that exercise is the less important part of the equation. The truth is, however, that exercise is important for a healthy cholesterol lifestyle. The most obvious way that exercise affects cholesterol is the impact that regular exercise can have on your overall weight. There is a high correlation between being overweight and a higher amount of LDL cholesterol in your body. Lowering your body weight can help you lower the amount of those “bad” cholesterol molecules in your body. Exercise stimulates your body in many ways. Your heart beats faster, pumping blood through your body at a more efficient rate, and all of your body’s systems speed up. Another way that exercise stimulates your body is in the very makeup of your body. In the specific case of your cholesterol, the enzymes that move LDL molecules through the blood to your liver are sped up, helping increase the efficiency of your body’s natural system for removing LDL waste, therefore decreasing your LDL cholesterol. Exercise makes you stronger, on the inside as well as out. It can help bulk up the proteins in your blood that cholesterol molecules travel on, making your body stronger and more efficient at using each cholesterol molecule as it is needed, and taking the rest to waste. Understanding just how important your role is in your own health can help you to make the best decisions to create a healthier you. While medication is certainly helpful in treating many cases of high cholesterol, medication alone cannot do what your body is meant to do. A healthy diet and regular exercise are an important part of the equation to lower LDL cholesterol and increase HDL cholesterol, for an overall healthier you. For more information about cholesterol, click here.